The Tom Clancy’s The Division open beta is over and now we are all waiting for the one and only day, the release day in around 2 weeks – March 8th, 2016. Like for the closed beta, the developers have published new statistics about the open beta. 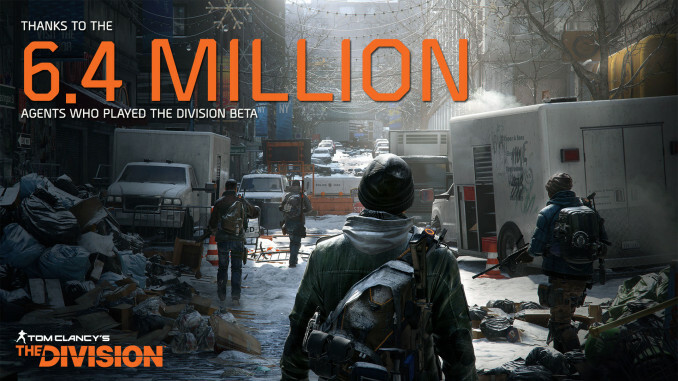 6.4 million players have played it, which is “making it the biggest beta ever for a new game brand on current generation platforms”. For more statistics and videos you can have a look at the daily briefings which also revealed some interesting numbers about the daily missions.